Close-up of the left wheel. Surprisingly, it still clearly shows the manufacturers name 'CONTINENTAL' and the tyre size '700 x 175'. 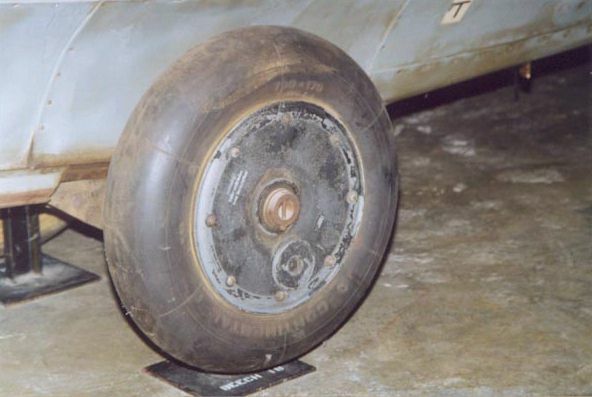 The edge of the wheel cover appears to have worn down to the same color as the fuselage lower side.